The Duke Homestead State Historic Site and Tobacco Museum in Durham, takes visitors on the fascinating journey of the Duke family’s humble beginnings before the Civil War and tells how the Duke name later became synonymous with the tobacco industry in America – and the family’s impact on North Carolina. When the Civil War ended in 1865, Washington Duke was a penniless, two-time widower in his mid-40s with four children and the homestead he farmed prior to being drafted into the Confederate army at the age of 42. Upon his return home, Duke and his children started a factory in a small log building on the homestead. Their main product was cured Bright Leaf smoking tobacco. Duke and his sons parlayed this into a successful business that also began the first mechanical mass production of cigarettes; this eventually made the Duke family in control of the largest tobacco company in the world. Some of the company’s profits were used for humanitarian causes. The family donated money to churches, hospitals, and Trinity college, which later became Duke University. 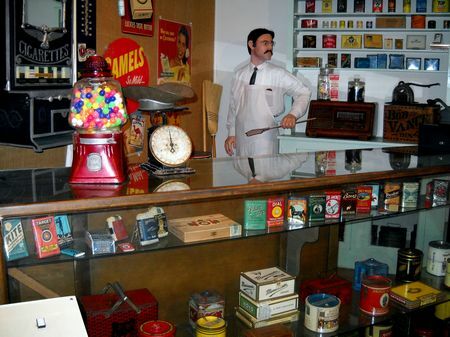 The Visitor Center / Museum has exhibits and programs that chronicle the production of tobacco from seed to leaf and beyond, and the development of the American tobacco industry. It features original marketing memorabilia, packaging, production, and manufacturing equipment. Also on the Duke Homestead site are the restored main house, Duke’s first factory (reconstructed), the original 1869 tobacco factory, two outbuildings, a tobacco pack house, and a curing barn. Annual events at the site include the Herb, Garden, and Craft Festival (June), Tobacco Harvest Festival and Mock Tobacco Auction (September), an Evening at the Homestead (October), and Christmas by Candlelight programs (December). The Duke Homestead is located at 2828 Duke Homestead Road, Durham, NC It is open Tuesday - Saturday 9:00 a.m. – 5:00 p.m. The Visitors Center and some buildings are wheelchair accessible. Accessible parking is available. Become a volunteer! If you love history and would like to share it with others, become a volunteer at the Duke Homestead State Historic Site. Training is provided. Call 919.477.5498 for details about volunteering and additional info about the site.